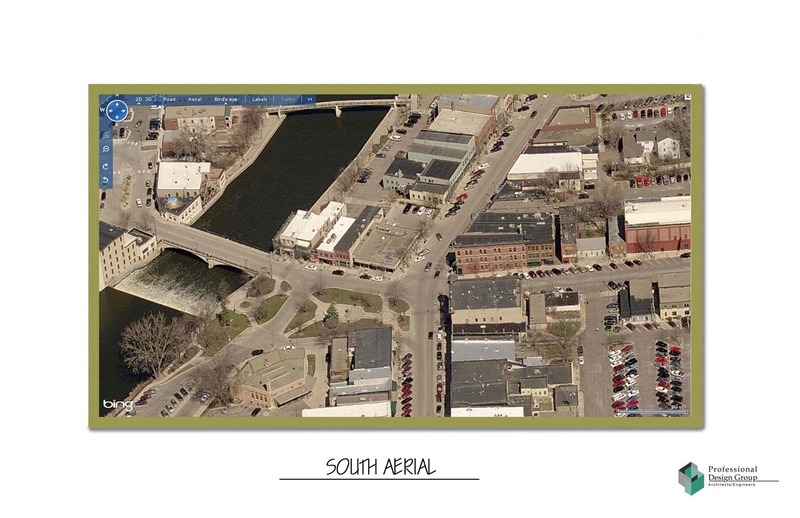 The proposed building is not like the mixed-use Mendota Homes plan for the site announced four years ago. 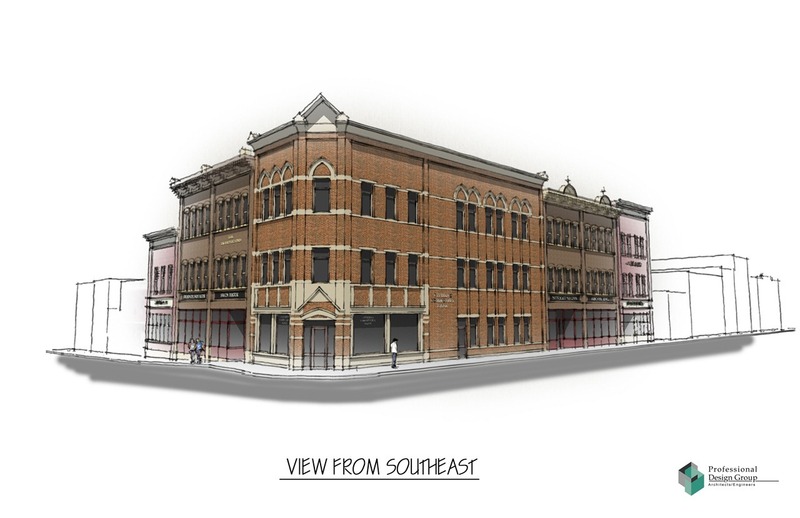 Local developer Jerry Anderson is functioning more as a catalyst for this project which will require businesses to buy up all the spaces (office condos) or it won’t be built. In his column this week, Nfld News publisher/editor Sam Gett expressed surprise at the lack of retail planned for the development. He apparently doesn’t understand it. The proposed building could ultimately include retail shops and restaurants if one or more buyers of the 8 or 9 office spaces chose to use/sublet them for that. Given current market conditions, a plan that even partially depended on leasing retail space would be foolish. 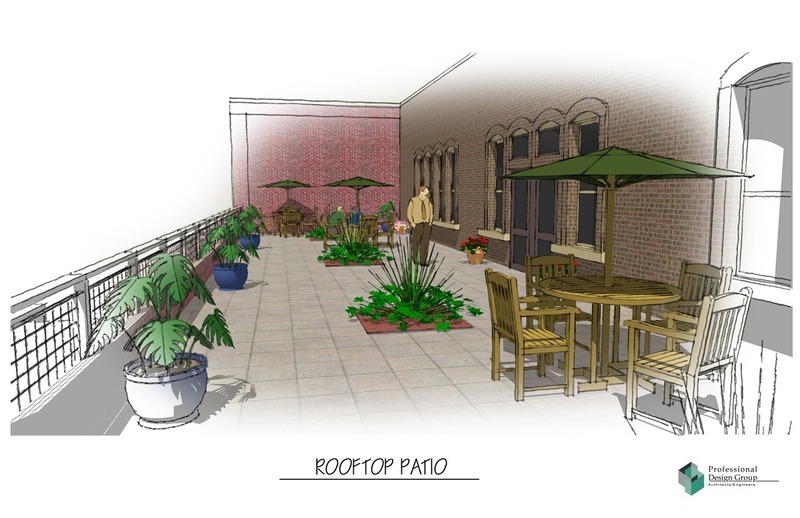 (Personally, I’d love to see a fancy street-level restaurant there that also serves diners during the warm months on Bridge Square, Italian piazza-style — yes, with alcohol. See photo example here). 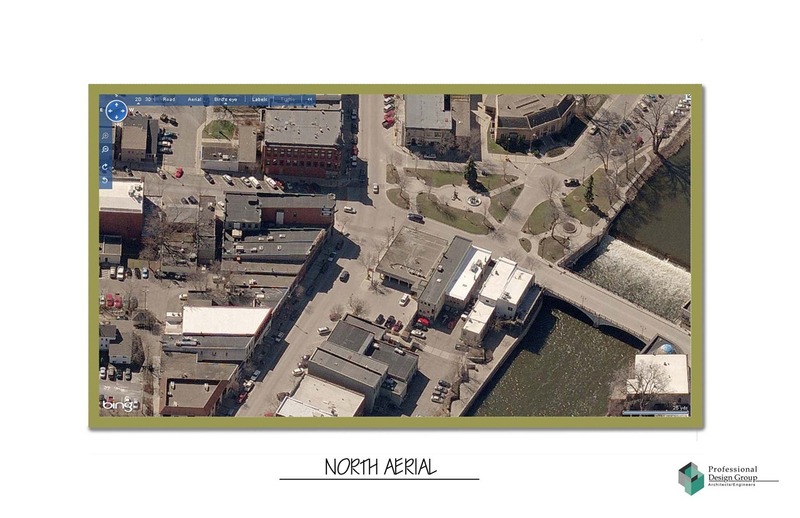 Not only would the project be a “shot in the arm” for businesses downtown, Jerry Anderson also believes the construction would help revitalize a portion of the Cannon River waterfront in downtown. As part of his designs for the building, Anderson is including a large atrium on the northwest corner of the complex, facing the river, and expanded sidewalk access to the river between this project and adjacent store Oo La La [sic Oolala]. 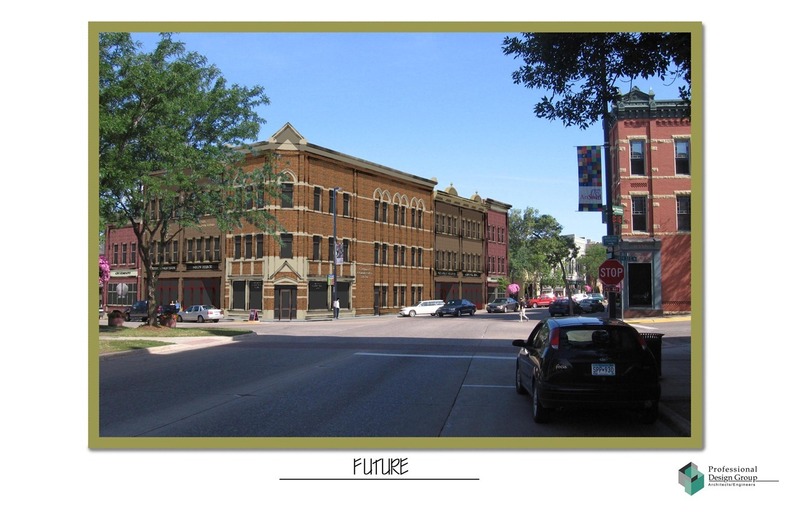 Professional Design Group presents the plan to the Northfield Heritage Preservation Commission on Nov. 19. 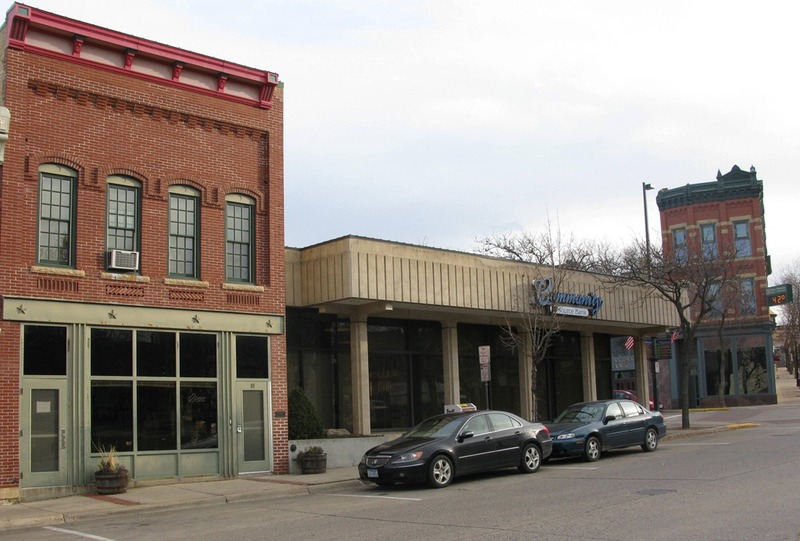 Other background: On May 19, 2005, Ross Currier blogged the news that developer John Mathern of Mendota Homes was in negotiations to purchase the downtown location of Community Resource Bank (then called Community National Bank) and tear it down to build a mixed-use, historic-looking building (retail, office space, residential condos). A few months later, Mathern announced his plans (Nfld News article). That plan ultimately collapsed and in 2008, First National Bank of Northfield foreclosed on Mathern. Images below courtesy of Professional Design Group. Click any thumbnail to see a medium-sized image, then click the green arrow to see a full-sized version; use the arrows to scroll left or right through the set. It is interesting how Republicans often oppose public spending on public projects, yet they often favor public spending on private projects. There is a strange disconnect between your steadfast opposition to so many public projects as wasteful spending in this time of financial crisis, and your relative eagerness to suggest that we do spend money financing a private building. I would prefer to think that conservative fiscal policy would be a little more consistent in its frugality. By the way, I talked to someone who recently moved here from another state. He commented that the divisions in Northfield weren’t liberal/conservative or Republican/Democrat rather the division is idealists/pragmatists. I think that is a good observation. Scott, I do see Jerry on a somewhat regular basis. But as said earlier, I’ve been asked to be the builder, not the developer. I’m not privy to all the ins and outs of what Jerry may wish to do to make the project happen and be successful. I know that there have been discussions with economic development folks at the city regarding some assistance related to the site. I think that is a good thing to have those discussions. The city steps forward on all sorts of things to ‘help make something happen.’ The most recent one I can remember was the $100,000 donation to keep Archer House toilets open to the public. Patrick, the city doesn’t own those toilet rooms, but they contributed to the effort. 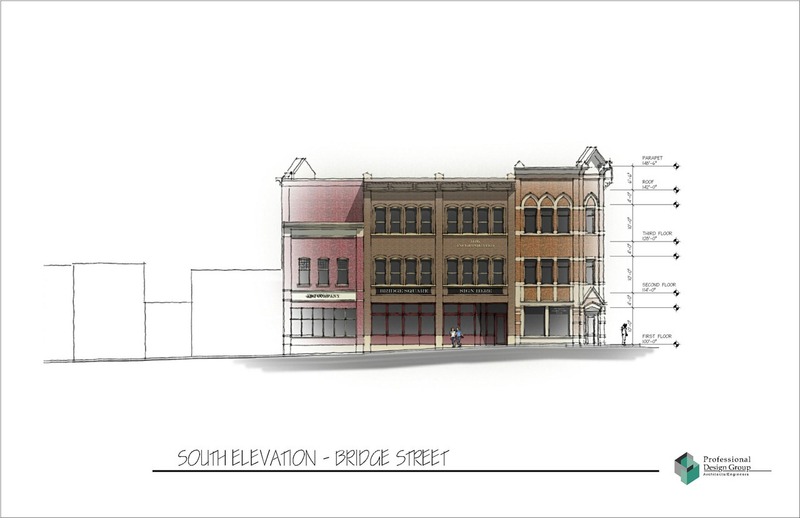 I doubt very much that the city will want any kind of ownership position in this proposed Bridge Square building, so I’m assuming any public assistance will center on site costs and repayment through expanded tax base. Ray: Yes, the $100,000 toilets were definitely one of the city’s nuttier expenditures. And I doubt they’re truly open to the public. We should send in a bunch of skaters sometime to check it out. I think this proposal is an awsome idea. 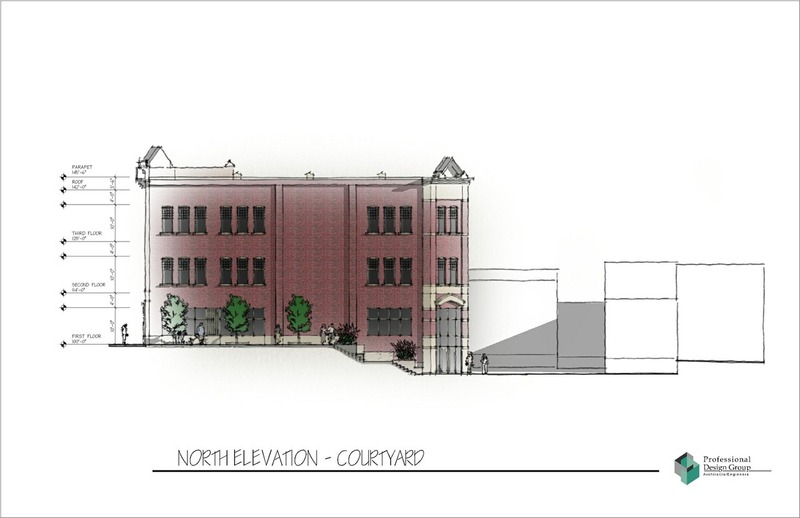 Imagine the economic impact the addition of this building would make on downtown Northfield when it is filled with offices, services and retail. 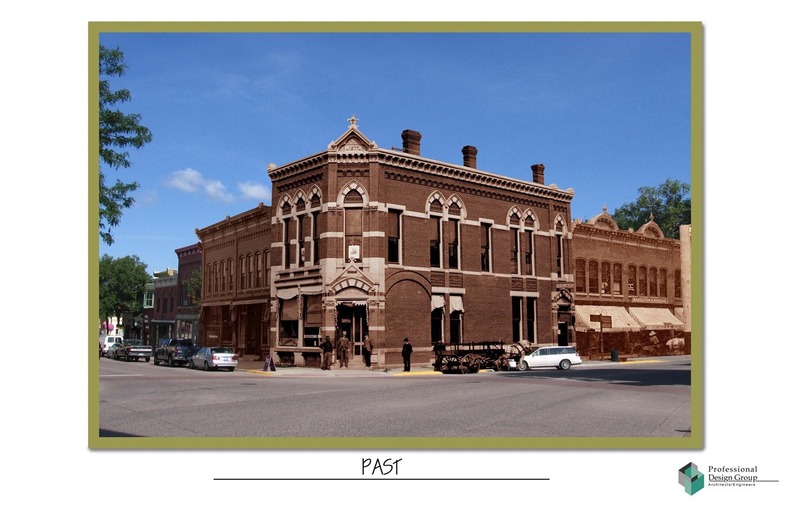 The addition of a new historic looking building can be done well and look appropriate when the entire street isn’t made up of reproductions of old buildings. This will fit in great. Actually, the Boondoggle Block boosters have been swearing up and down that the building will be all office space, and no retail, but I don’t believe it either. I think they just don’t want to open debate on the effect of dropping another 10,000 to 15,000 square feet of retail space on an already fragile market. Scott, I’ve heard Jerry Anderson and Jim Braucher say that whoever buys the office condos will be free to sublet the space to retailers. So I don’t see how the issue is one of dropping lots of extra retail space downtown. I don’t see what incentive they’d have to push for retail. I think the only debate about that issue is folks like me (and Nfld News publisher Sam Gett) who’d LIKE to see some street-level retail there. The big issue is having that office space filled by primarily by companies who currently lease downtown office space rather than new businesses moving to town, ie, little or no net gain on workers downtown… and if that’s the case, whether public monies should be spent to help it happen. Griff: By “dropping” I meant adding, or dumping, or whatever. 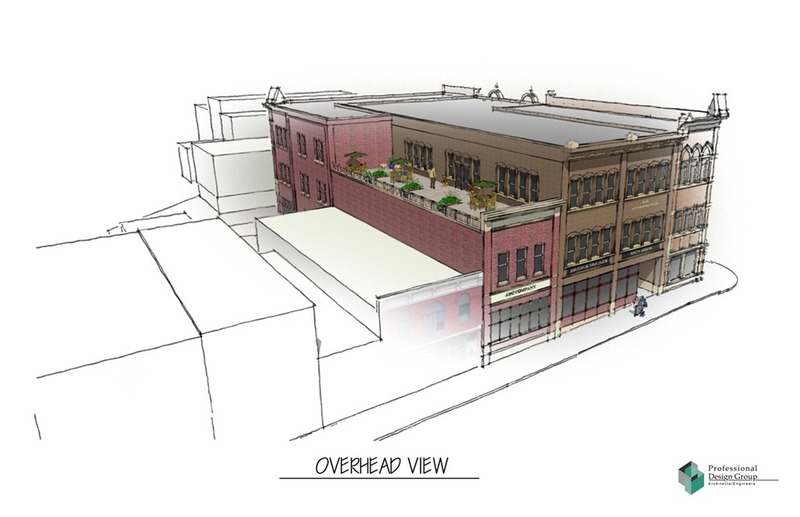 So yes, there will be plenty more vacant retail space. By the way, I think there’s still office and retail space available a couple of blocks down at The Crossing. Today’s Nfld News: Deadlines extended for project. 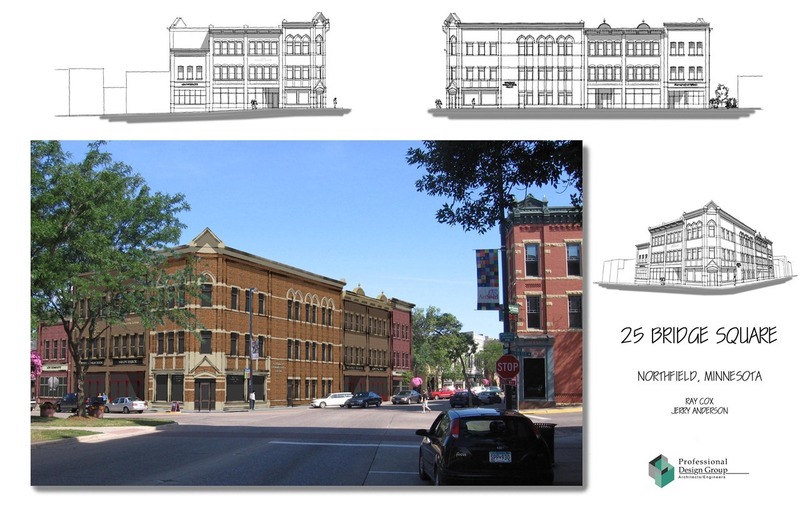 The developers of a proposed, $8 million reconstruction of 25 Bridge Square have 30 more days to line up occupants for the building, according to representatives from First National Bank of Northfield, which owns the property. 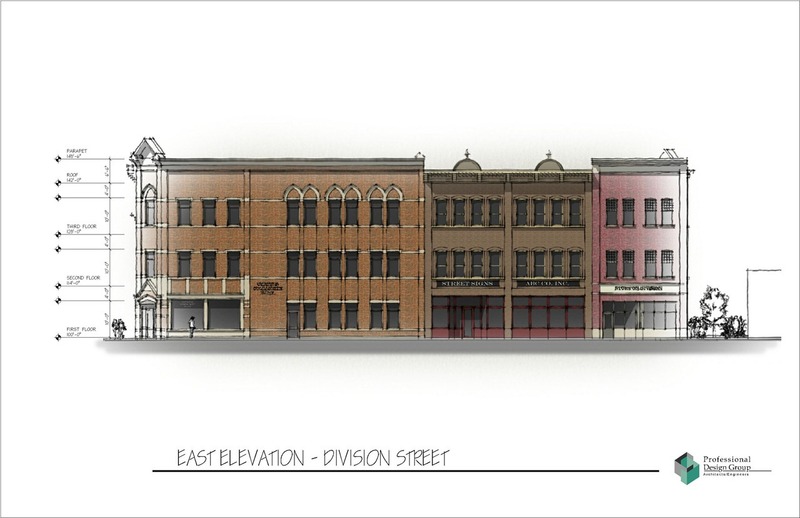 The developers involved in the downtown construction project, which could replace the current Community Resource Bank building and the adjacent Aldsworth Building with a four-level office complex, were supposed to have eight to nine businesses lined up to occupy space in the proposed building by the end of the year. 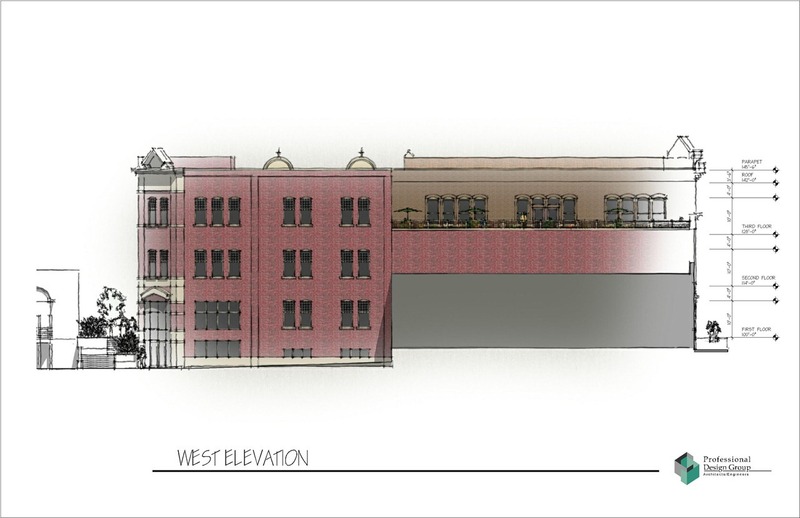 This proposed office building is NOT going to happen, according to a source I spoke with on Saturday. Anyone have confirmation? .-= (Hayes Scriven is a blogger. See a recent post titled 2010 Outlaw Run) =-. 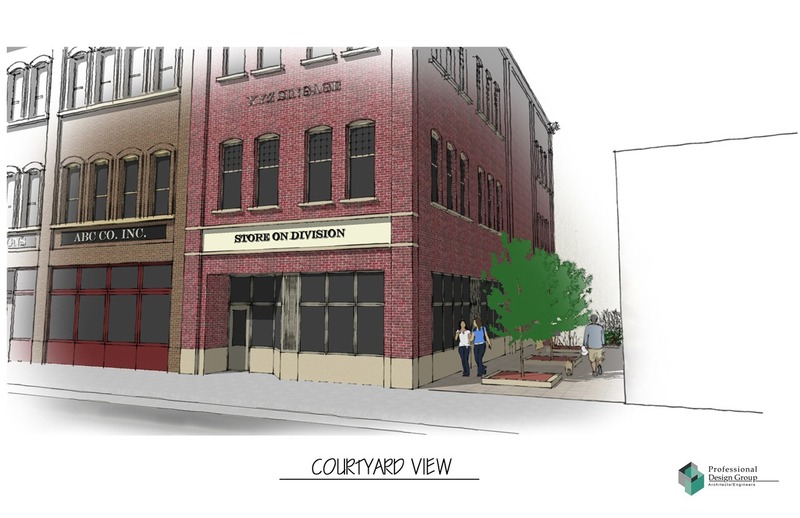 It wasn’t for lack of trying, but Jerry Anderson’s quest to build a new $8 million office complex on the corner of Bridge Square has likely come to an end, the local developer said Monday.